Our visit this morning is to the splendid Renaissance-style Chateaux Vaux le Vicomte, which inspired Versailles, with exquisite décor and period furniture, manicured formal gardens and a collection of 19th century horse drawn carriages. Afternoon cruise through the Loiret countryside with towpath cycling. Dinner aboard. Today’s excursion is to Chateau-Landon. With a history going back 20,000 years to the first evidence of primitive habitation, this seldom visited, mainly medieval town was captured by Caesar in 52 BC. We have a private guided walking tour and see the 11th century Saint Severin Abbey, as well as enjoy a tasting of Loire wines. Afternoon gentle cruise to historic Rogny and its 350 year old floodlit 7 lock-flight. Dinner ashore at Auberge des Templiers in Les Bezards. After a leisurely breakfast of fresh croissants, baguettes and assorted pastries we visit Chateau de la Bussiere. This moat-encircled 18th century family owned chateau has a freshwater fishing museum full of antique rods, reels and fishing memorabilia, working gardens and interesting brick architecture. Originally built in the 11th century it was extensively modernized 600 years later and represents an interesting glimpse of Chateau lifestyle. Dinner aboard. Morning cruise to Briare and Gustave Eiffel’s magical aqueduct across the River Loire with walking and biking for those that wish to do so. We preview Friday’s crossing of this amazing 10,000 ton, 662 metre Pont Canal which was completed in September 1896. Today we also visit Gien, home of the Faience pottery and hunting museums and Chateau de Gien. Dinner aboard. Morning wander around fruit and vegetable, seafood, cheese and French fashion stalls in the market in Briare. Afternoon visit to a family-run vineyard in Sancerre. This medieval hilltop village overlooks a vibrant and pulsating region which has known viticulture since Roman times. 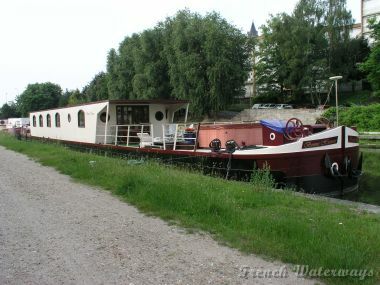 Evening cruise across the River Loire on Eiffel’s aqueduct and Captain’s Farewell Dinner aboard. After breakfast we return you to the meeting point in Paris. This is a sample itinerary. On alternative weeks the cruise is in reverse direction.